A day trip to Scotland, travelling by train to Glasgow then visiting Edinburgh and North Queensferry for the Forth Bridge before returning from Edinburgh to Birmingham by air. 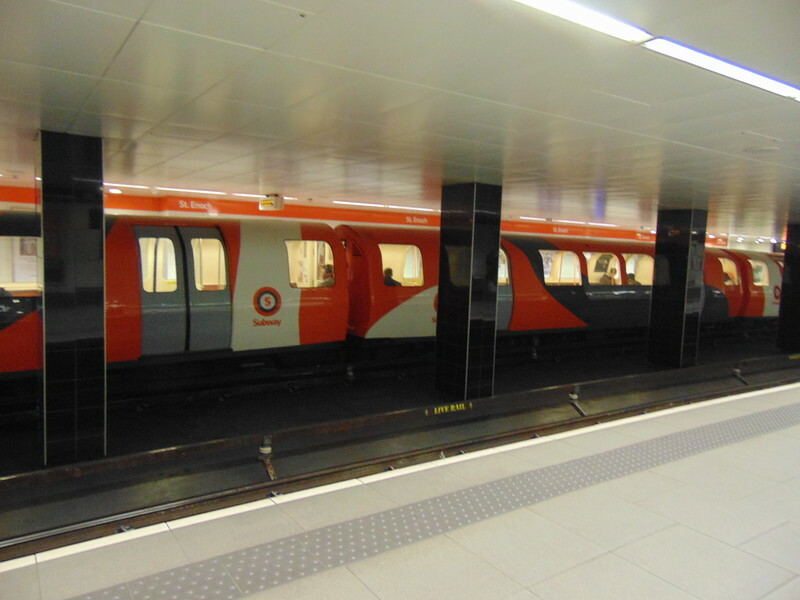 Glasgow Subway train no. 132 at St Enoch.